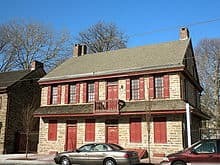 The Old Barracks Museum, also known as Old Barracks, in Trenton, Mercer County, New Jersey, United States, is the only remaining colonial barracks in New Jersey. 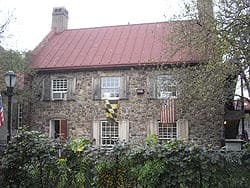 It is the last of five such barracks authorized by the colonial legislature in 1758 to house soldiers in the French and Indian War. 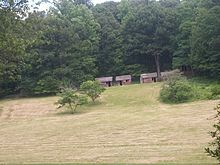 It housed about 300 soldiers at a time. During the American Revolution, George Washington crossed the Delaware River to catch the Hessian garrison by surprise. In 1902, members of the Daughters of the Revolution bought part of the building to preserve it. 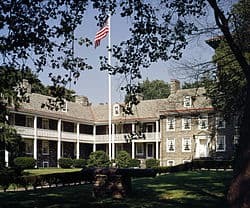 The state bought the other part and formed a museum in 1914 which continues to be open and supported by the State of New Jersey.